Designers of industrial machinery and equipment can expand flow and level sensing performance while gaining reliability and meeting product cost reduction goals with the 180 Series OEM Flow Sensors from Fluid Components International (FCI). 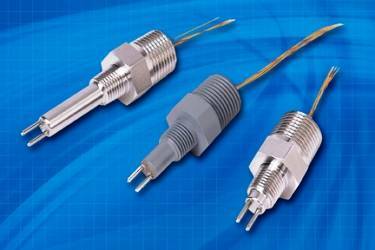 The 180 Series is a family of economical flow and level sensors that offers superior accuracy, fast response and long-term reliability using FCI’s thermal dispersion sensor technology to fit a wide range of OEM applications. Developed for use in equipment or machinery that requires flow or level sensing as part of its control system loop or as part of its operating system, the new-generation 180 Series OEM Flow Sensors provide switching, alarming, rate metering and totalizing of air, gases or liquids. These sensors are ideal for fuel and air feed lines, additive dispensing control, oil and lubricant circulation, pump protection circuits, cooling system controls, over/under flow limit switches and more. Designed for service in line sizes from 6 to 130 mm, the 180 Series OEM Flow Sensors are ideal when embedded in new product designs, offered as optional upgrades or as replacements to existing sensors. They feature FCI’s precision thermal dispersion sensing technology, which has proven itself in hundreds-of-thousands of process and industrial end-user applications worldwide for over 40 years. These sensors combine wide flow and turndown ranges with high accuracy and repeatability to achieve dependable operation in a broad range of applications and conditions. In comparison to mechanical rotary, float or orifice plate sensors that frequently breakdown or clog, the 180 Series features a no-moving parts, minimally invasive sensor design that is virtually maintenance-free. Its two platinum RTD sensors are mounted in miniature thermowells, which are fully sealed to avoid contamination by the process fluid. With a mean time between failure (MTBF) rating calculated to exceed 60,000 hours of service, the 180 Series delivers unmatched reliability and long-life that will minimize maintenance costs and increase customer satisfaction. The 180 Series’ miniature sensor design ensures both fast-response and superior repeatability under all process conditions. Additionally, because there is minimal pressure drop, 180 Series OEMs will save cost and increase their equipment’s efficiency by not having to boost line pressure to achieve needed flow rates. FCI provides over 30 different standard designs. FCI also will create custom designs to any OEM specifications. FCI can engineer custom flow or level sensors to meet requirements for any process media, line size, installation environment, temperature, pressure, calibration and output signals. Various sensor designs comply with industry standards, including UL, CE, FM, ATEX, CSA, IECeX and more. FCI is a registered and certified ISO9001 manufacturer. FCI maintains its own world-class, NIST traceable, precision flow calibration facility that provides total accuracy and performance assurance for all of its products. This industry unique, extensive laboratory supports design validation testing as well as calibration of production products for virtually all gas and liquid media in pipe sizes from 6 to 900 mm. The calibration laboratory’s systems accommodate flow rates from 0.02 to 6300 NCMH over various pressures from 0 to 69 bar and temperature conditions from -46 to 538ºC. FCI’s actual media calibration of its flow sensors ensures delivered products meet their accuracy and total product operation specifications.